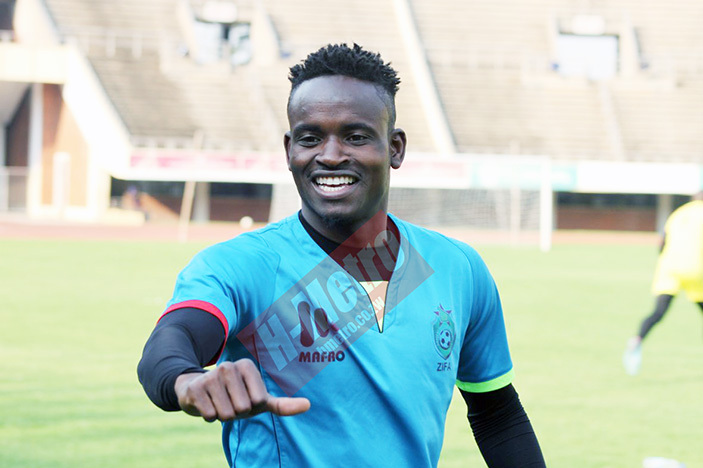 WARRIORS and Bloemfontein Celtics leftback Ronald Pfumbidzai is expecting a tough encounter against Liberia in the 2019 Afcon qualifier on Sunday. Zimbabwe won the reverse fixture 3-0 at the National Sports Stadium last year. “I think it’s going to be a tough game because they still have hope of qualifying. “They are also at home and I think that’s an advantage to them,” he said. Pfumbidzai said he will play to win the game if gets the chance to start. “Personally I always play to win but team work is more important. We should play as a team; it’s not about individual glory but the nations. “We should play knowing that it’s for our honour and country. Working as a team is the key going forward to this game. “If you look at our game against DR Congo, we worked as a unit and we managed to grind results,” he said. “I don’t have much knowledge about our opponents. I only know Anthony Laffor who plays for Sundown’s. I know him because we play in the same league. “I think what Zimbabwe needs to do to win is to make sure that we play the way we played our last two games. Coach Sunday Chidzambwa, his technical team and local-based players were expected to leave the country last night to join their foreign-based counterparts in Liberia. The team is expected to camp and start training there ahead of Sunday’s encounter. A positive result for Zimbabwe will see them qualify for the 2019 Afcon finals to be hosted by Cameroon in June.